Endovenous thermal ablation (EVTA) techniques are very effective for the treatment of varicose veins, but their exact working mechanism is still not well documented. The lack of knowledge of mechanistic properties has led to a variety of EVTA protocols and a commercially driven dissemination of new or modified techniques without robust scientific evidence. 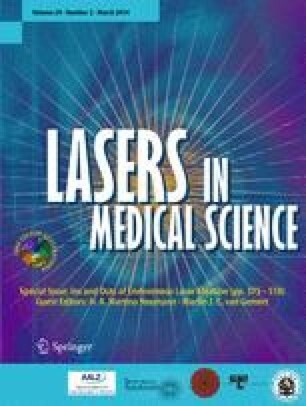 The aim of this study is to compare temperature profiles of 980-and 1,470-nm endovenous laser ablation (EVLA), segmental radiofrequency ablation (RFA), and endovenous steam ablation (EVSA). In an experimental setting, temperature measurements were performed using thermocouples; raw potato was used to mimic a vein wall. Two laser wavelengths (980 and 1,470 nm) were used with tulip-tip fibers and 1,470 nm also with a radial-emitting fiber. Different powers and pullback speeds were used to achieve fluences of 30, 60, and 90 J/cm. For segmental RFA, 1 cycle of 20 s was analyzed. EVSA was performed with two and three pulses of steam per centimeter. Maximum temperature increase, time span of relevant temperature increase, and area under the curve of the time of relevant temperature increase were measured. In all EVLA settings, temperatures increased and decreased rapidly. High fluence is associated with significantly higher temperatures and increased time span of temperature rise. Temperature profiles of 980- and 1,470-nm EVLA with tulip-tip fibers did not differ significantly. Radial EVLA showed significantly higher maximum temperatures than tulip-tip EVLA. EVSA resulted in mild peak temperatures for longer durations than EVLA. Maximum temperatures with three pulses per centimeter were significantly higher than with two pulses. RFA temperature rises were relatively mild, resulting in a plateau-shaped temperature profile, similar to EVSA. Temperature increase during EVLA is fast with a high-peak temperature for a short time, where EVSA and RFA have longer plateau phases and lower maximum temperatures.